Providing you the best range of titanium round bars, titanium pipes, titanium fittings, titanium sheet, titanium pipe fittings and titanium bars with effective & timely delivery. Our company specializes in manufacturing, supplying, distributing, importing and exporting a qualitative range of Titanium Pipes. Manufactured using high quality titanium, our offered range is applauded for its fine finishing, corrosion resistance and dimensional accuracy. 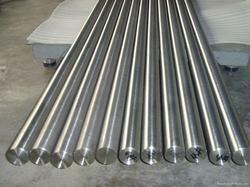 Furthermore, we customize these pipes as per the requirements of customers. 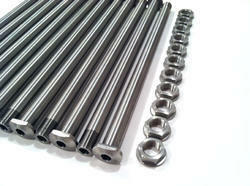 We are efficient in manufacturing and exporting Titanium Fittings. Our team use customer focused manufacturing strategy while manufacturing these fittings. 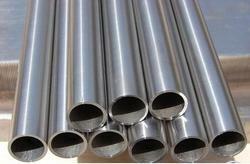 Fittings are basically used as joints to the pipes at the middle portion. It is designed in different dimensions which are used according to the customer choice. These pipes are provided with reduced maintenance, corrosion-free which can be located easily. It is available in both Standard sizes and any Custom size according to the industrial needs. 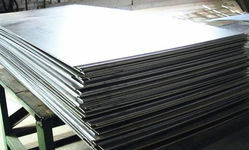 Backed by rich industry experience, we are manufacturing, supplying, distributing, importing and exporting a vast variety of Titanium Sheet. 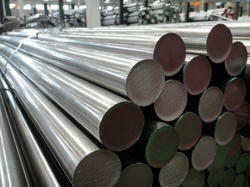 All our products are manufactures using optimum quality titanium. 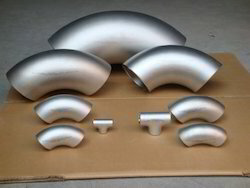 The titanium used in the manufacturing process is sourced from vendors of high repute with the aid of our procuring agents. Our Titanium Pipe Fittings are specially developed for piping requirements of industries like oil, gas, food processing, petrochemical, pharmaceutical and various others. 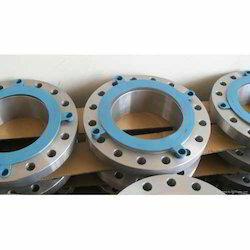 These fittings offer superb piping solutions to the industries ensuring obstruction flow of materials such as oil, water, steam, air and gas without any risk of leakage. 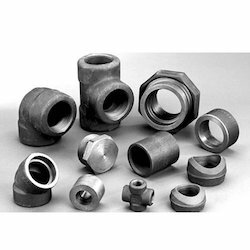 To make compatible with different industrial piping systems, these fittings are provided in different sizes, types, shapes and connection ends. The fittings are sturdily designated by utilizing superlative grade titanium in compliance with the ASTM, ANSI, DIN, JIS, EN and ISO quality standards. 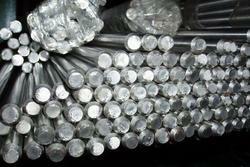 Ever since establishment, we have been offering pure Titanium Bars to our respected patrons. 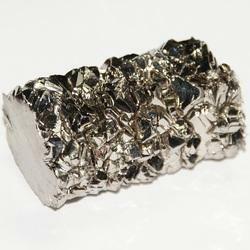 The titanium we offer is processed under the due guidance of knowledgeable experts, who possess rich experience in extracting the same. Further, we test these products at our end to ensure that these are pure in nature and possess no foreign element. We hold expertise in manufacturing, supplying, distributing, importing and exporting a superior quality range of Titanium Flanges. 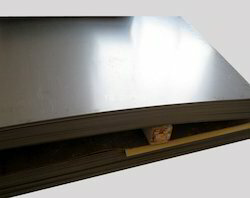 Our range is manufactured at our state-of-the-art manufacturing facility using high grade material. Latest machines are employed by our experts in the manufacturing process following industry set guidelines.